According to the Department of Energy this coming winter is expected to have warmer temperatures, which in return means paying less to heat your facility. Last year we experienced an unusually cold winter, 11 percent colder, in fact, than previous year, which drove up the heating bills. Property and Facility Managers are expected to see a 5-27 percent drop this season, depending if your facility uses propane, electricity, oil or natural gas. Even though the Midwest is predicted to be 16 percent warmer, the weather is out of our hands. Fortunately there are some winter energy-saving tips you can follow to help see that decrease in the heating bill this season. Set the thermostat in your workspace to 68 degrees during work hours and raise the setting to 55 degrees when the space is unoccupied. 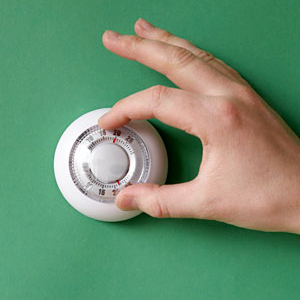 For every degree you lower the heat in the 60 to 70 degree range; you can save up to 5 percent on heating costs. Choose ENERGY STAR products whenever possible. They are 20 to 30 percent more efficient than older models. Clean warm-air registers, baseboard heaters and radiators as needed and make sure they’re not blocked by furniture. Also clean and replace filters regularly. Hire only qualified professionals to maintain your heating and ventilation systems. Check for experience, licensing and training before hiring.